Looking for Experts in Educational Supply Chain Simulation? Supply chain simulation or gamification is an enjoyable route to the comprehension of integrated supply chain concepts, which often presents a complex, challenging learning curve for business professionals. Logistics Bureau can help you overcome supply chain training challenges and hurdles, by way of our long-established and proven approach to educational gamification. In fact we’ve been using The Beer Game–an engaging and informative supply chain simulation game—to enhance our clients’ training efforts since 1993. Gamification is not the most common approach to supply chain education. Some companies and training providers use purely instructional methods of knowledge delivery, which involve little if any supply chain simulation. Without simulating real-world scenarios though, it can be hard for students to grasp the non-linear, complex interrelationships present in today’s supply chains. Many businesses that do run The Beer Game prefer to manage without the help of trained external facilitators. While this may save on overhead, adopting supply chain simulation without expert help can prove counterproductive—cultivating confusion rather than wisdom. Through our long history of facilitating The Beer Game, we’ve educated supply chain practitioners (and professionals from other business functions) across a diverse field of industries. Some of our customers are actually in the real beer game, but most are not, illustrating the versatility of this time-honoured supply chain simulation and its applicability to any manufacturing, logistics or retail operation. The one thing all our customers have in common though, is ample praise for our unique, effective approach to Beer Game facilitation. You too can enliven staff training through supply chain simulation/gamification. Contact us today to plan your facilitated Beer Game event, schedule or training program. Customised supply chain simulation: We run The Beer Game for groups numbering four participants and upward. Our facilitators provide game guidance tailored to the participants’ level of supply chain knowledge and the industry in which they work. Professional Beer Game facilitation: Our Beer Game experts are skilled in supply chain operations and vocational training practices. Their expertise ensures participant progress is effectively managed and maintains momentum through to game completion. 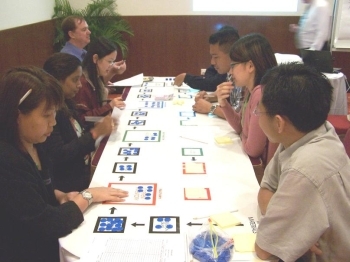 Integrated training and Instruction: During game-play, our facilitators integrate training and instruction linking the simulation with important concepts such as supply chain uncertainty, supplier relationships, and sales and operations planning (S&OP). Performance evaluations and after-action reports: Our Beer Game events include in-depth evaluations and debrief sessions for participants and post-mortem reports for internal management and human resources stakeholders. 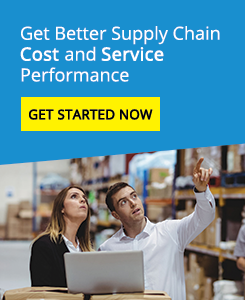 Our ultimate objective of course, is to help educate your supply chain staff, managers, and executives and set the stage for improved supply chain performance—as we’ve been successfully doing for our client organisations since 1993. Ready to join our list of satisfied Beer Game clients? Contact us at +61 2 8799 2121 to boost your training program with guided supply chain simulation.